We most certainly were not veterans, but after four months of sailing and nearly three thousand nautical miles, we had certainly begun to rub the velvet from our cruising antlers. During months four thru eight of our first season, we cruised from the heart of Mexico to the northern fringe of Costa Rica. Then, we decided not to cross the Pacific, so we sailed back north to the colorful corridors of El Salvador, Honduras, and Nicaragua, before venturing toward the lush navel of Costa Rica. Our greatest lesson was that moving too fast robs cruising destinations of the opportunity to develop patina and that slowing down and immersing ourselves in local experiences is what really fills our cup. We summarized our first four months as rookies who had hoisted but one courtesy flag. Now, it’s time to report back about the final months of our “freshman year” of cruising, with five more nations’ flags whipping in the wind from our spreaders. Yanni the Yanmar was roaring a whole lot more than we expected. At the same time, we’ve had more than one cruiser tell us that if you sail 50% of the time through Mexico, you’re doing well. Central America is often even less. Almost universally, however, the times we fired up the engine were when we had a “deadline.” If friends were coming in, we motored to make sure we could meet them. If friends needed to catch a flight to depart, we turned over the engine. We feel very strongly that if we had it to do all over again, we’d still hoist the iron sail to ensure precious time with loved ones in remarkable locations. That said, we motored more to make those meetups possible than we thought we would. The euphemism proffered by a veteran cruiser that visitors can “choose the date of their visit or the location became increasingly salient. We began pushing guests to book their flights with less and less time before departure. Although that certainly bumped their flight costs, it gave we mariners who are dependent on wind and ruled by weather more flexibility. In the cruising world, more flexibility is often a synonym for safety. Where we spent our nights: Although we moved a shorter distance during months 4 thru 8 than we did during our first four months, we were still underway a great deal. That was due in large part to our decision to sail north to revisit the countries we’d cruised by on our February beeline to meet up with our friends in northern Costa Rica. Sailing north from Costa Rica to El Salvador added an additional 586 nautical miles of sailing, or roughly six days at sea. That choice was among our best of the voyage, however, as it landed us opportunities to build friendships (e.g., Tim and Emma, the gang at Isla Meanguera) and to experience high-holiday cultural wonders (e.g., Semana Santa in Antigua) we would have otherwise missed. Because our trek back to the CA-4 included nearly one month of inland voyaging, our “nights” look different than they did during our initial months of cruising. We still spent the majority of our time at anchor or at sea, but inland excursions claimed a whopping 21% of our time! 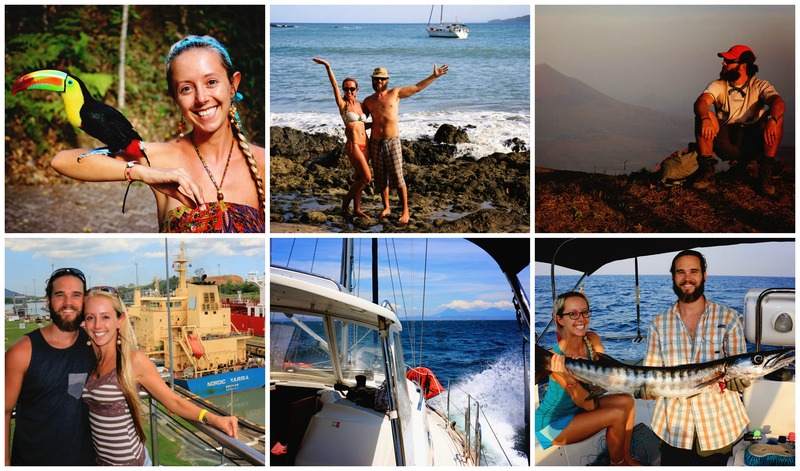 Of the 28 days we traveled inland, we left the boat on a mooring in Puerto Barillas (El Salvador) for 14 days and in Puesta del Sol Marina (Nicaragua) and Marina Pez Vela (Costa Rica), each for 7 days. 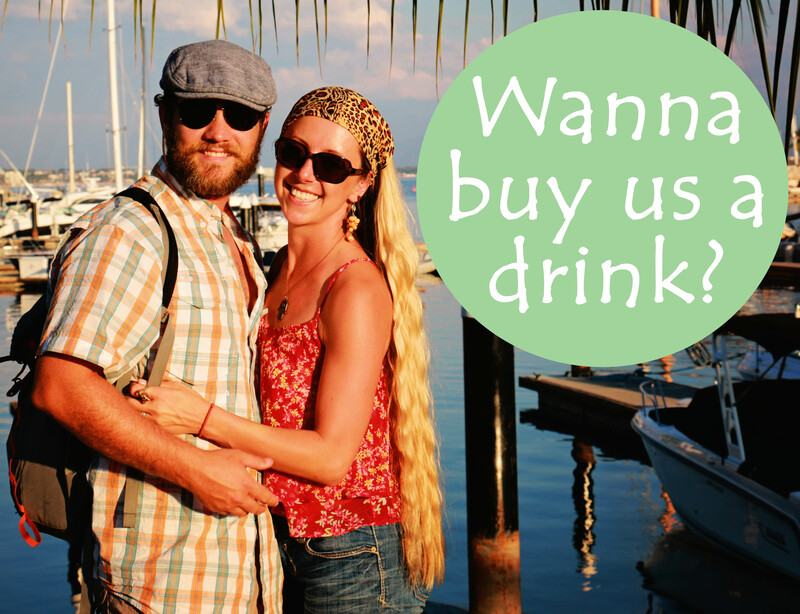 The latter was for a bus trip to Panama City to help our friends take their boat through the Panama Canal! Marinas were heavier than projected, as our final two weeks were spent at Marina Pez Vela decommissioning The Red Thread. Wildlife watching: During this leg of our voyage, we saw three species of dolphins (i.e., spinner dolphins, pantropical spotted dolphins) and a lone humpback whale. As with the earlier phase of our travels, we saw numerous bird species (e.g., frigates, blue- and brown-footed boobies, sooty terns, brown pelicans), fish, sea turtles, and skates and rays. Much of what surprised us during the latter of our first season were the same things that we didn’t expect when we departed Seattle. Bullet point three was the major difference. We have exceeded our boat maintenance/repair budget. The upkeep-is-maddeningly-expensive theme has continued…watermaker, starter motor, power cord, Racor fuel filter, dinghy oars. We had friends bring in loads of spare parts and supplies, as we’ve become very aware of just how pricey (or impossible to find) some things are outside of the US. 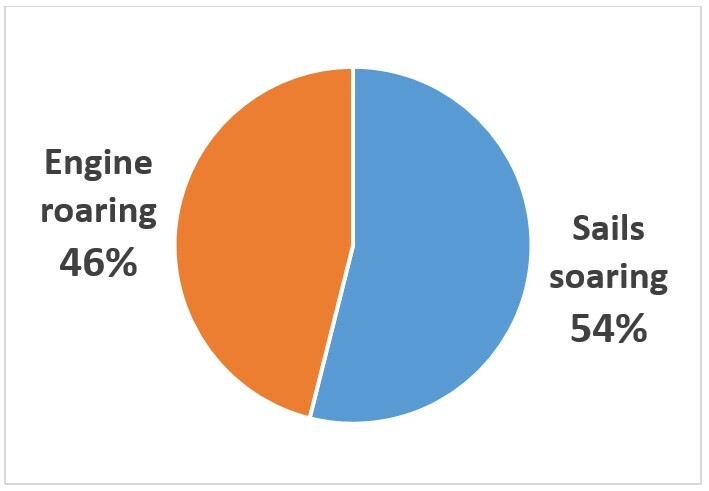 Supplies for hull maintenance (e.g., waxing) are also extremely expensive compared to the US. Stock up before you leave America! We motored more than we thought we would. Although we motored more than we expected, we actually experienced some excellent sailing in Central America, contrary to the tales we’ve heard from others. Motoring more than desired/hoped/expected was generally due to being “on a schedule” to get somewhere. Had we had more flexibility, we would have waited for ideal conditions to depart or just bobbed around longer waiting for winds to pick up. We would have deeply regretted breezing by Central America. Our hearts were set on crossing the ocean this season, but revising our plans based and choosing to stay in the Americas for another season was the best decision we made. Central America bursts with rich history and interesting cultures, diverse landscapes, lovely people, and surprisingly bland food. With the exception of the food, our time in Guatemala, El Salvador, Honduras, Nicaragua, and Costa Rica were delicious. All cruisers have different aims and goals, but before you choose to breeze past Central America, consider what you might miss as a result of preconceived notions about the region. We wrote extensively about the places we explored and the people we met – give a few of the posts a read if you are on the fence. Here’s the rundown…our favorite memories and greatest challenges of months 4 thru 8 of our sail down the west coast of the Americas. Spending a few days with our friends in northern Costa Rica. Relaxing with them gave me the dose of home I desperately needed at that point and gallivanting about as tourists (rather than cruisers) for a few days made clear how much we needed inland excursions to really maximize our experience. Making friends on Isla Meanguera meant so much to me. Even more special, we’ve been able to maintain the friendship we started. Although the tiny island does not yet have running water, the cell phone tower at its summit allows the inhabitants access to Facebook. We’ve video chatted and shared emails (thank you Google translate!) over the past few months, and I even got to have breakfast with one of our new friends and her daughter when I flew to New York in October (they live in the US and had been visiting Meanguera the same time we stopped there. Experiencing the religious fervor in Antigua, Guatemala during Semana Santa was a once-in-a-lifetime experience. Visiting Macaw Mountain in Copan Ruinas, Honduras gave me an affection for tropical birds I had never felt before. Beautiful, intriguing creatures. Having Tim and Emma join us for an overnight sail from El Salvador to Nicaragua and the behemoth barracuda we hauled aboard together (which was as long as we were when the four of us stood shoulder-to-shoulder)! Summiting El Hoyo (and not passing out in the oppressive heat!). It feels pretty awesome to say I climbed a volcano in Central America and slept atop it! The passage between Puesta del Sol and Playa del Coco in April was amazing. Under beautiful blue skies and starry nights, we sailed and sailed and sailed…and finally caught dorado! Lazing about on Ballena Beach with Mark and Helen. Few things are more precious than uninterrupted careless moments with good friends. Transiting the Panama Canal aboard s/v Meridian…what a tremendous opportunity! Experiencing the power of Semana Santa in Antigua, Guatemala. The Macaw sanctuary in Copan Ruinas was really something special. It was cool to see all of the conservation efforts that are being made to protect them. Having friends make the trek out to see us, both in Playa del Coco, Costa Rica and in Golfo de Nicoya. The milkshake sands of Bahia Huevos, where I won handily the first ever Red Thread hermit crab race. The thrill of flying down a volcano on a toboggan, even considering the pain of taking a major tumble! Playing in Isla Tortugas, Costa Rica, one of the best island stops on our voyage, with Mark and Helen. Experiencing the incredible biodiversity of Manuel Antonio Parque Nacional. Developing an awesome friendship with the two sport fishing boats who were parked next to The Red Thread at Marina Pez Vela and the delicious, delicious tuna they gave us. Last but not least, traversing the Panama Canal. The most difficult part of months 4 thru 8 was deciding to radically alter our plans and not cross the Pacific, followed by figuring out whether we should return to the US or stay abroad. We were very committed to our goal of joining the 2015 Puddle Jump, and shifting gears was not easy. What it was, however, was an opportunity to practice being mindful of our needs and not steamrolling forward simply because we had said we would. One of my favorite lyrics comes from a Trevor Hall song, which reassures, “Darkness has its teachings…” While darkness is a stretch for our situation, the message is on point. Hardship and challenges offer opportunities for growth. Sailing in 50-knot winds from southern Nicaragua into northern Costa Rica was a real scare. It gave us even more trust in our boat (and in each other) and also reminded us that no matter how gentle and soothing the ocean may be, its power must always be respected. The great bee-pocalypse off the coast of Nicaragua, when we were swarmed by hundreds of noisy bees. It was like the film Arachnophobia but with bees. Ick! The no good very bad day at Marina Papagayo. Everything mechanical seemed to go wrong. Everything. The laborious process of decommissioning The Red Thread was a definite trough! Long, sweaty days of worrying about whether we were doing enough for her. That said, the highs far outweighed the lows during this phase of our voyage. We truly delved into some of Central America’s gems and were rewarded by a cache of unforgettable experiences and friends. 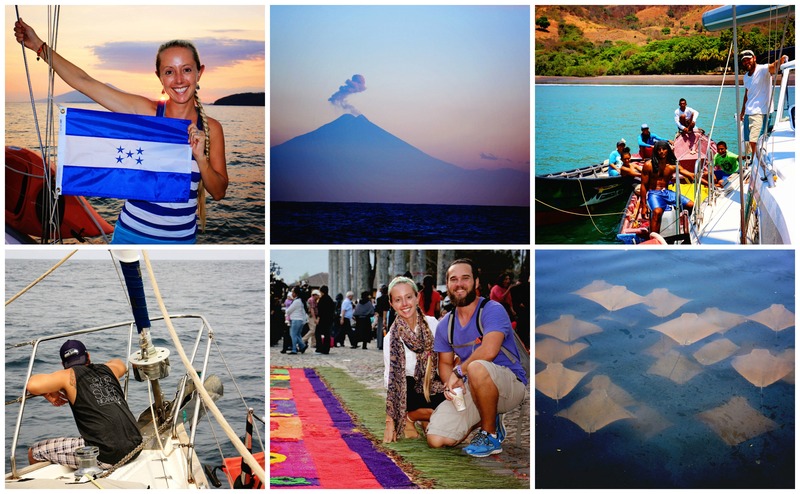 Check our highlights from our Central American travels in our Boat-to-Backpack VIDEO below! This entry was posted in By Jessie, By Neil, Central America, Costa Rica, El Salvador, Guatemala, Honduras, Mexico, Nicaragua, Panama, South Pacific Stitch, Video, Voyage Statistics. Bookmark the permalink. This is so awesome. You’re so awesome. Thank you so much for sharing! I hope so, too! That’d be great fun! Love all your reflections, statistics and creative sub-titles you’ve come up with! Looking forward to the next chapters! Not sure if you remember us or not from s/v Long Windid. We met you and Neil’s Mom in Mexico and had dinner together at Phillos, in La Cruz. We continued on our journey and made it to the South Pacific with the Puddle Jump in 2015. We have talked about meeting you guys so often. So glad we found your blog. Good luck on the crossing. You’re right when you say a schedule is difficult to keep. They say the most dangerous thing on a boat is a schedule. Very best regards and be safe. YES, we most certainly do remember you! We so wish we could have spent more time with you. We, too, are very glad you found our blog! Where are you now…what are you doing? Where are you headed? See you somewhere out on the blue!